The Bendigo Academy of Sport is extremely pleased to announce that Josh Cowan will be heading up our 2018-19 Bendigo Hire Volleyball Program. 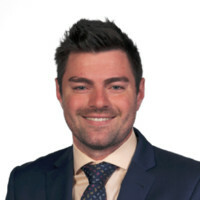 Josh is currently the volleyball coordinator / head coach at Mazenod College and a current State Coach. The wealth of experience that Josh will bring will be invaluable to the young athletes. Laura Roberts – Australian representative, state coach, state representative. Laura has been involved with the academy for many years as an athlete and coach. Phalen Taylor – Phalen returns after being a coach some years ago. Phalen was also a past athlete and state representative and coach. Welcome back Phalen. The Bendigo Academy of Sport look forward to a new and exciting period in the sport of Volleyball. We thank Bendigo Hire and the Bendigo Volleyball association for the sponsorship and support over many years along with the Volleyball Victoria for their support.